Clean and simple to the eye but with plenty going on below, the 686 Moniker Insulated Snowboard Jacket is a rock-solid bestseller. It protects with a combination of 10K waterproof-breathable fabric taped at the seams and mapped 80/60/40g insulation. Air-Flo™ mesh vents let you crank the AC on when you start running hot. A one-cinch hood provides storm coverage and a powder skirt adjusts to keep snow out of the interior. Don't get too fancy; just get out there and shred. "Is the bottom section of this jacket black or navy?" "Thank you for your inquiry. 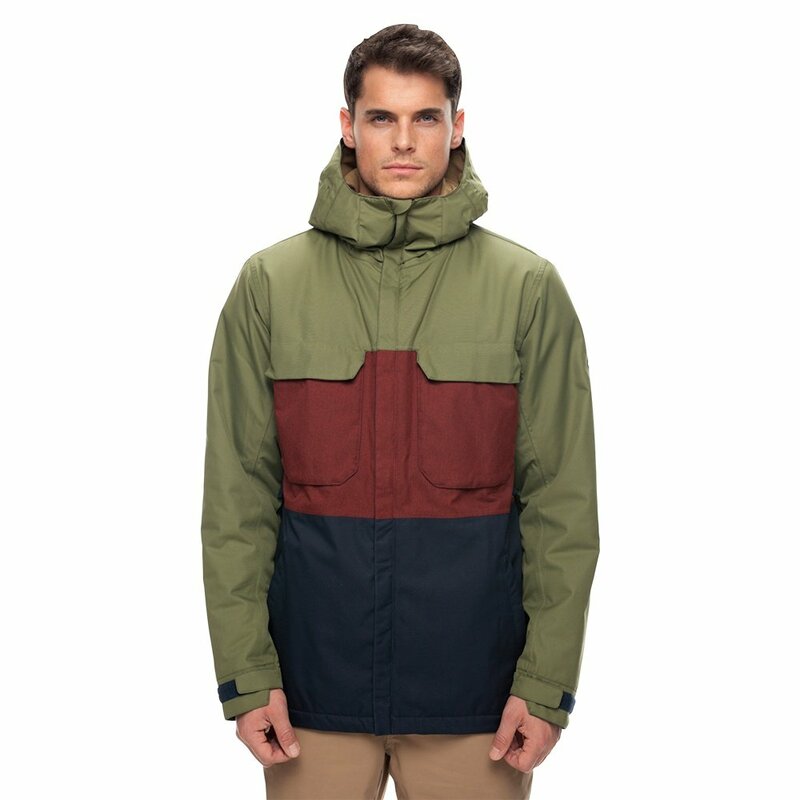 The bottom section of the Fatigues Colorblock is navy and the bottom section of the Khaki Melange Colorblock is black. We hope this information helps! "